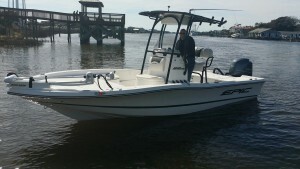 Boat 2015 epic 22sc bayboat powered by 2015 yamaha 150 4 stroke, top of the line rod and reels, trolling motor, dry storage, 2 live wells, up to date electronics, saftey equipment, t-top, ample seating and shade up to 4 people, bathroom available upon request. We offer this trip in 2 different formats. 1/2 day (5 hours) or a full day (8 hours). 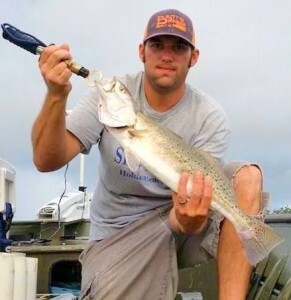 On this trip you can expect a fun filled day navigating the winding rivers and shallow flats seeking flounder, speckled trout, and red drum. We will be using a variety of live bait and artificial baits. Please do remember this is fishing and the time of year will dictate the species of fish we will primarily target. This is a kid friendly trip, that they will have memories they can share for a lifetime. All prices shown are for up to 3 anglers, a 4th angler can be added for a additional $50.00. Max is 4 anglers per trip. CALL FOR AVAILABLE CHARTER DATES. We also offer Nearshore trips. Weather permitting. We offer this trip in 2 formats. 1/2 day (5 hours), full day (8 hours). This trip we will target multiple species of fish within site of land. Utilizing trolling or drifting techniques we will target blue fish, Spanish mackerel, king mackerel, and cobia. Also, with some of the local artificial reefs right off our beaches we will bounce around to target flounder, speckled trout, gray trout, bull reds, and sharks. Please remember we can customize any trip to meet your needs. If at any time the captain feels it is becoming unsafe due to the weather we will retreat to the inshore waters to finish your trip out and prices will be adjusted. All prices are shown for 2-3 people, a 4th angler can be added for a additional $ 50.00. Max is 4 anglers.